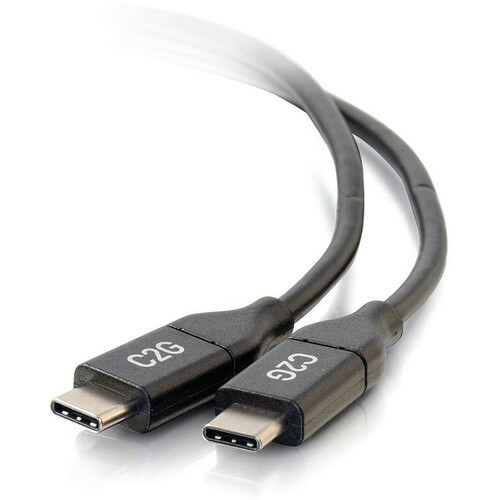 Connect and charge your USB Type-C-equipped devices with the USB 2.0 Type-C Male To Type-C Male Cable from C2G. This 3' cable has a reversible USB Type-C male connector on each end. Suppporting the USB 2.0 standard, this cable is capable of data transfer rates up to 480 Mb/s and up to 5A charging output.